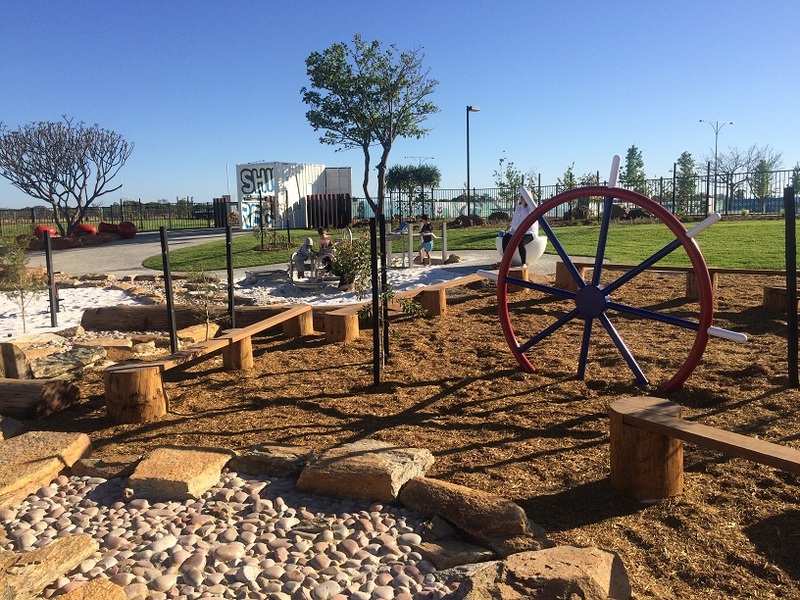 Get your boarding passes and your sea legs ready it's time to board and set sail upon the SS Shipwreck Park, at Sienna Wood Estate Hilbert. 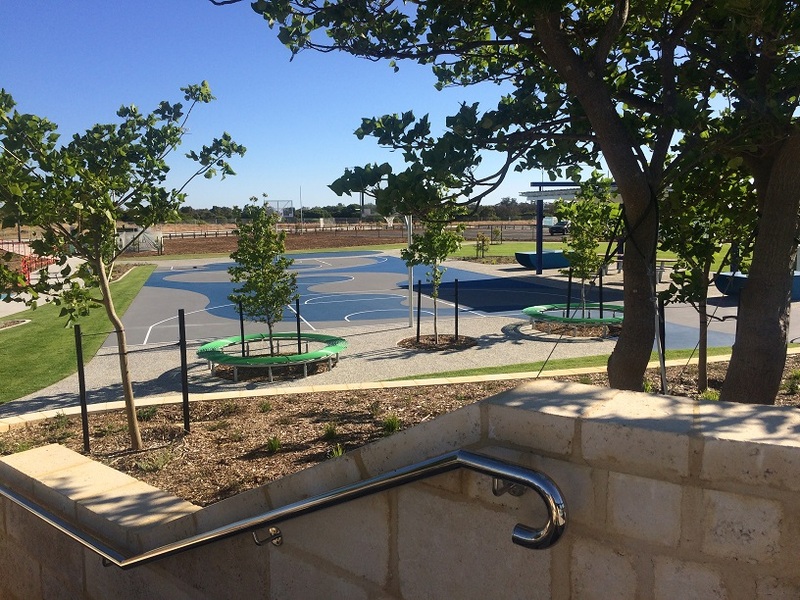 The park is fully fenced, with an automatic gate for disabled access and a sports court and fitness zone just outside the fenced playground area. 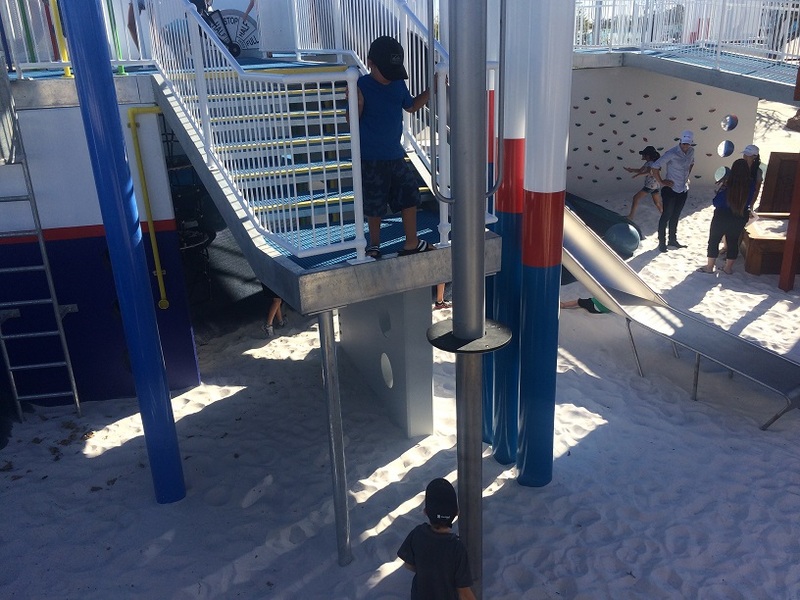 With ramp access to the top deck and all abilities flying fox this is a an all inclusive playground to be enjoyed by everyone. When we say this is a ship themed park it really is. 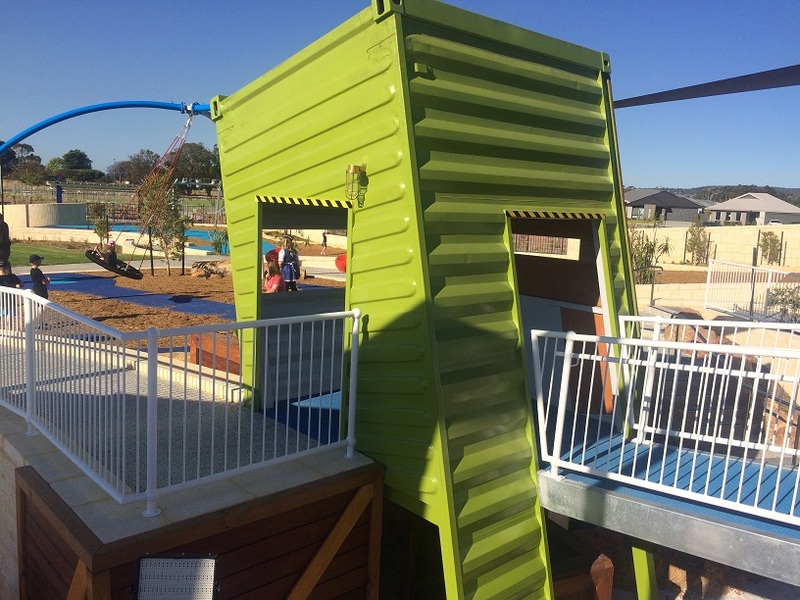 The main play structure is like a real ship, with multiple levels of decks, ships helm, utilities pipes, cargo containers, life bouys and ship speed controller. 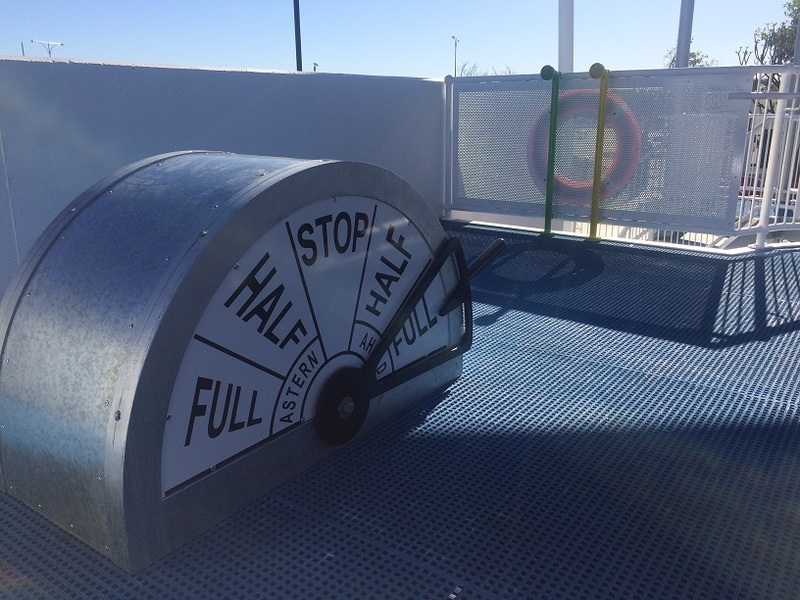 There are even talk tubes so the captain can issue instructions to the deckhands below. 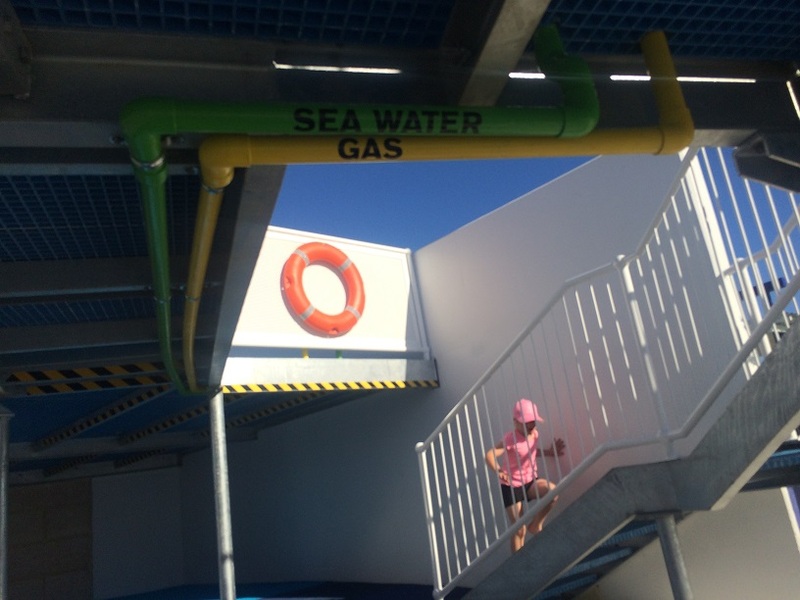 The upper deck is accessible by ramp so it's pram and disabled accessible or kids can climb ladders or cargo nets to make there way up through the levels to the top deck. To make your want back down there are a couple of slides and a few "telescopes" that lower when you stand on them - these are very cool we have never seen anything like them. 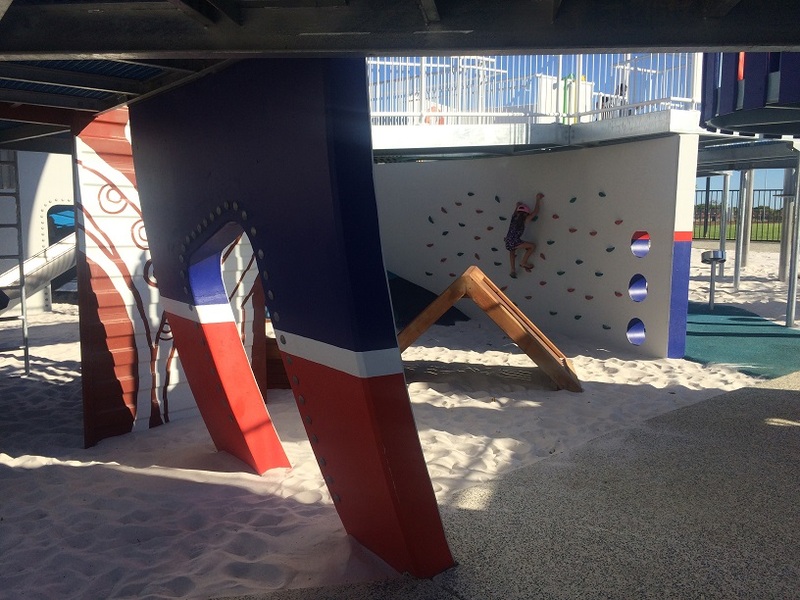 The kids loved exploring underneath the ships decks where there are lots of other play features to enjoy including musical play features and a rock climbing wall. 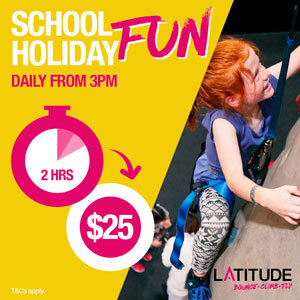 On the mainland kids can enjoy getting the wind through their hair on the double cable flying fox that includes all abilities seat and several swings. 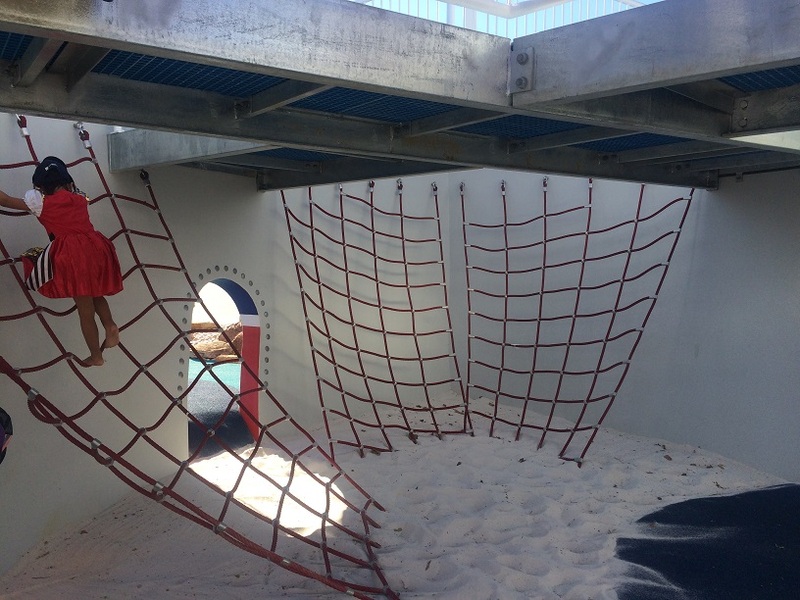 Plus sand and nature based play. 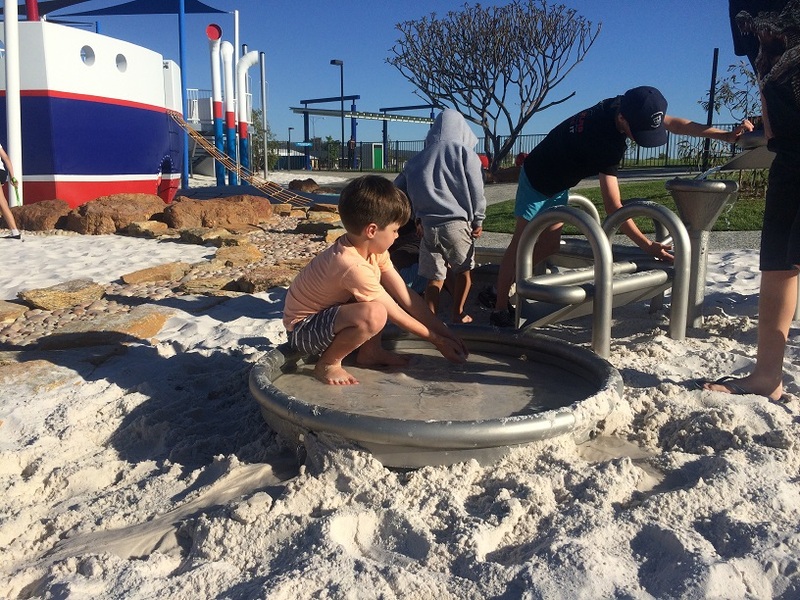 And of course what is a Shipwreck Park without some water play. Bring the spare clothes along as they are bound to get wet while they are overboard here. 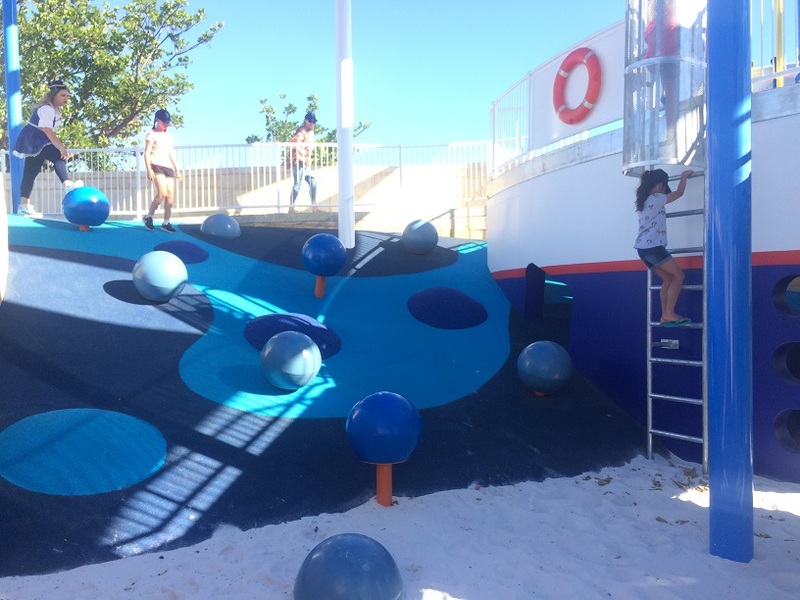 Shipwreck Park is fully fenced and outside the fence is a full court basketball court with fitness zone and ping pong tables alongside it. There is also a separate picnic shelter located here. 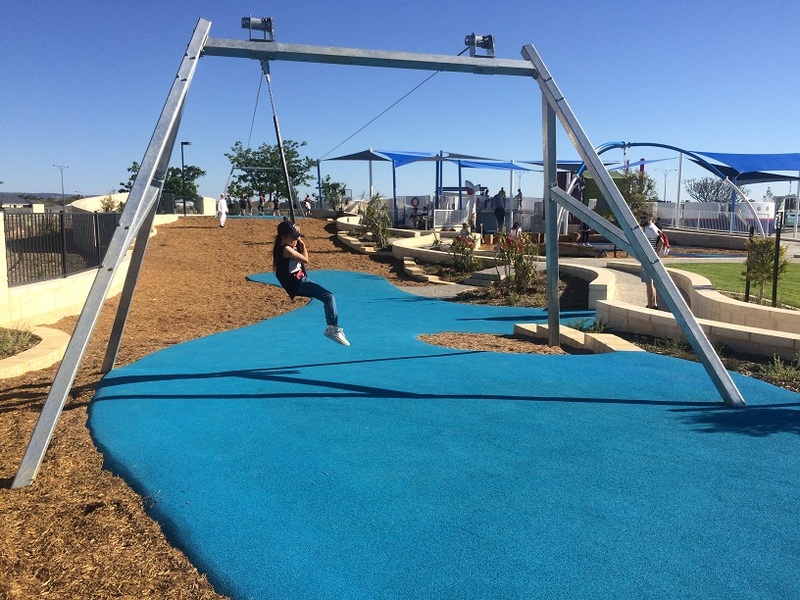 This is perfect youth zone for the big kids who are "too old" for playgrounds. Pathways wind around the sports area, playground and down to the Sienna Wood Dog Park, so it's a good park for bringing scooters along to explore outside the playground. 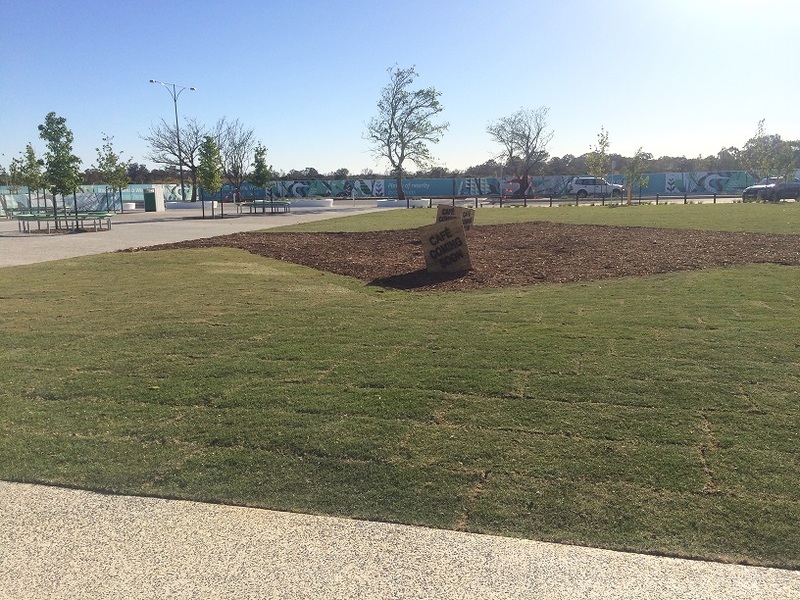 There is plenty of seating throughout the park and a large picnic shelter with BBQs within the fenced playground area. 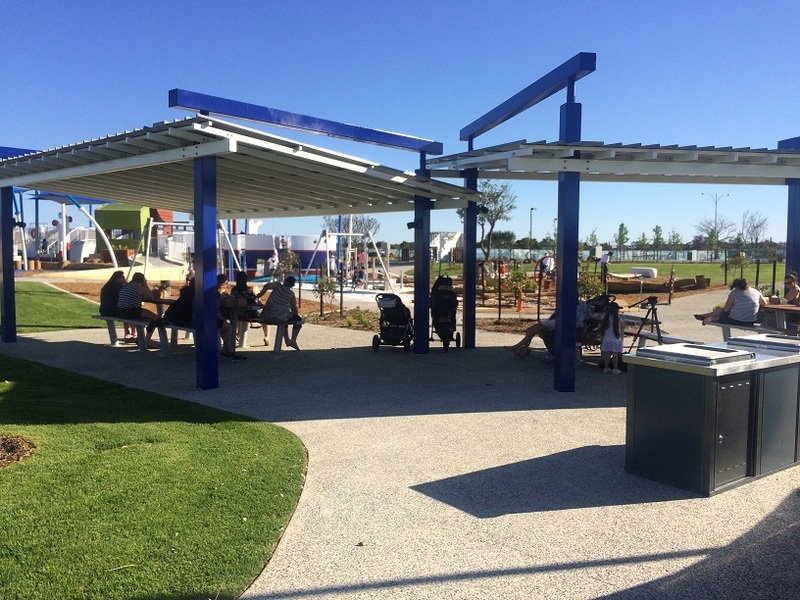 A water fountain is located near the picnic table are also. 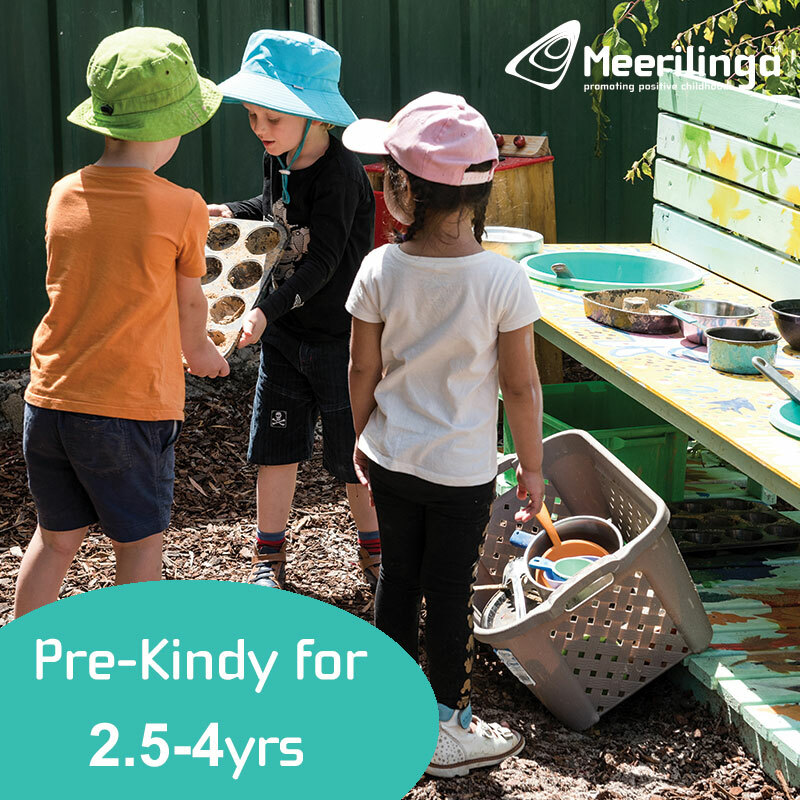 Toilets are also located within the fenced playground area and includes two unisex toilets and a parents room that includes a baby change table and small wash trough. 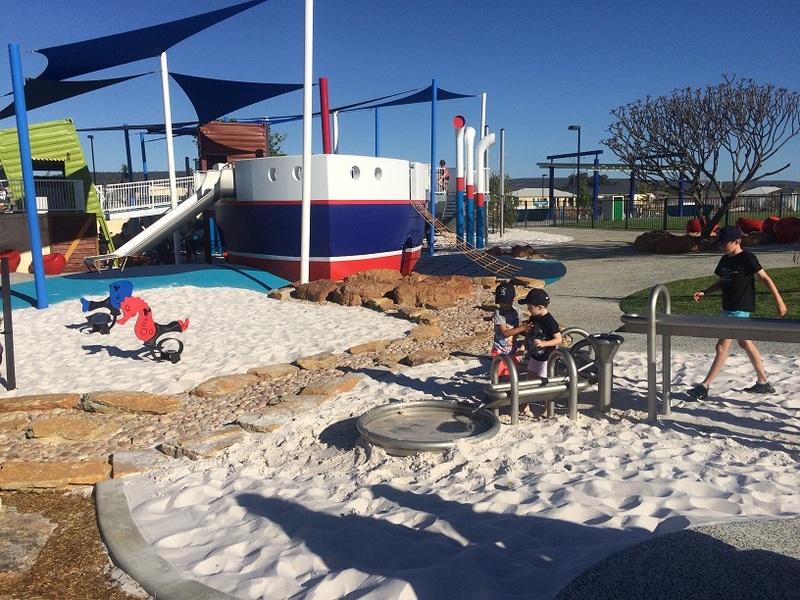 Just outside the fenced area on the mainland is Mooba Shipwreck Park so you can grab a coffee and something to enjoy at the playground or to take a break from the playground. 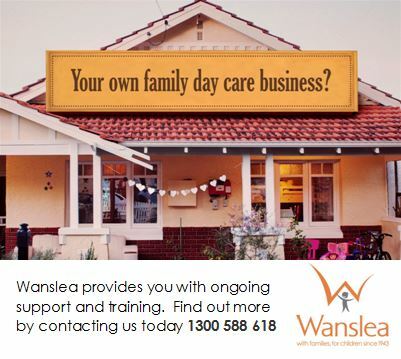 It's open Monday, Tuesday, Friday, Saturday and Sundays.